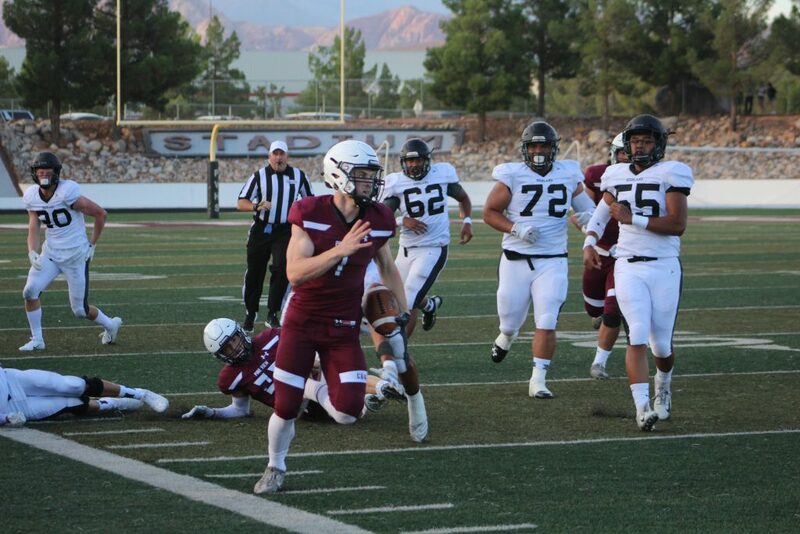 Pine View fans had Panther stadium roaring as veteran quarterback Dallin Brown ran his team down the field to a decisive 45-30 victory over the Highland Rams last night. The Rams were held scoreless during the first quarter by the Panthers thanks to strong defensive play led by senior Koa Katoa. His tackling produced several major stops and was a key player of the night. 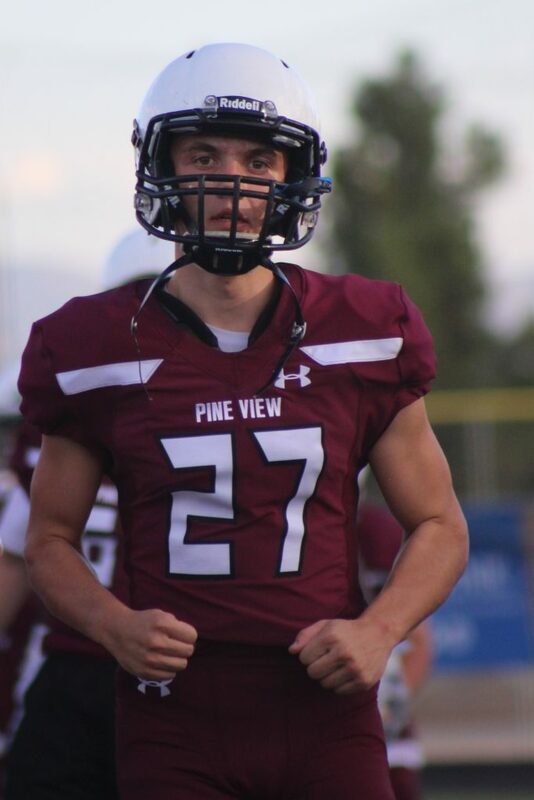 Pine View assistant coach Ben Meier said Katoa does a lot of good for them on defense and they are lucky to have him as a player. 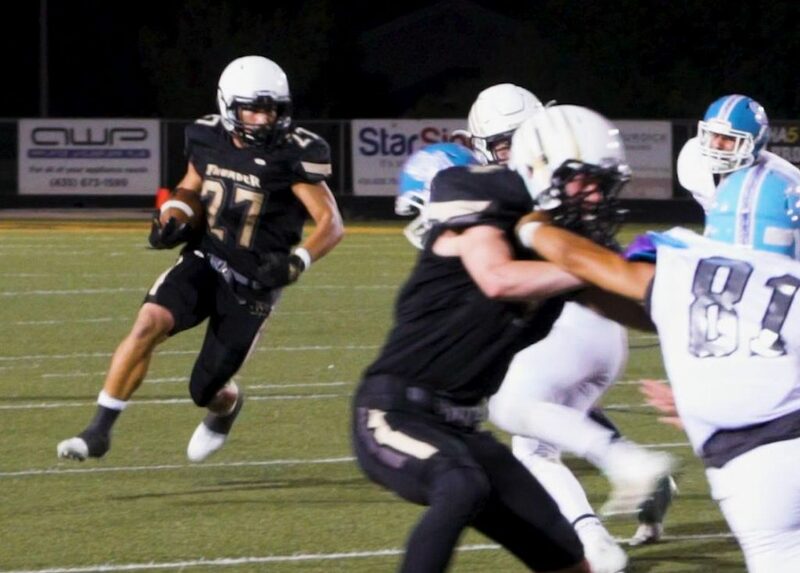 Highland’s scored a touchdown just seconds into the second quarter, but it wasn’t long before Pine View’s offense answered back and continued all night. 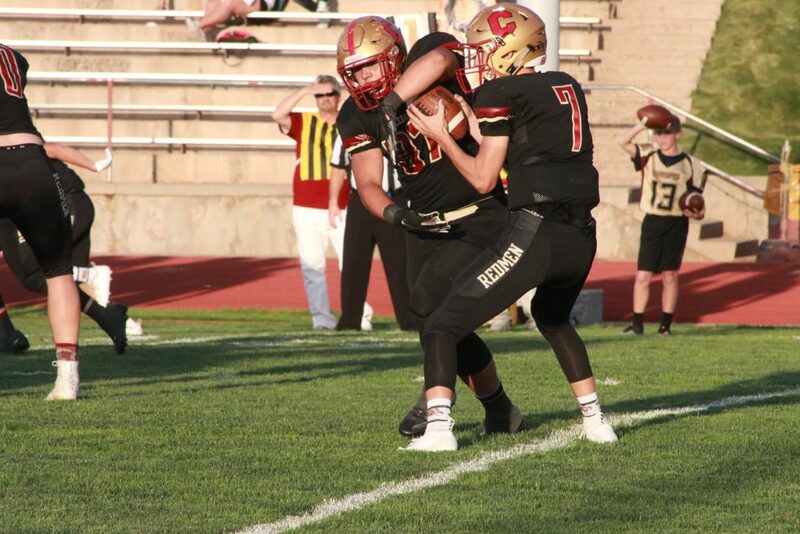 Their first possession ended with a field goal making the score 7-3, but with 4:15 left in the first half quarterback Dallin Brown ran in a touchdown. Conner Brooksby kicked the extra point for a 10-7 lead. Within minutes, Brown ran for another touchdown and moments later, Jeshan Allen closed out the first half with a fumble recovery and touchdown as time expired in the half. “He has got a lot of athleticism and we’re asking him to do a lot of things,” Meier said of Brown. “He makes up a lot of plays for us … both running the ball and throwing the ball. 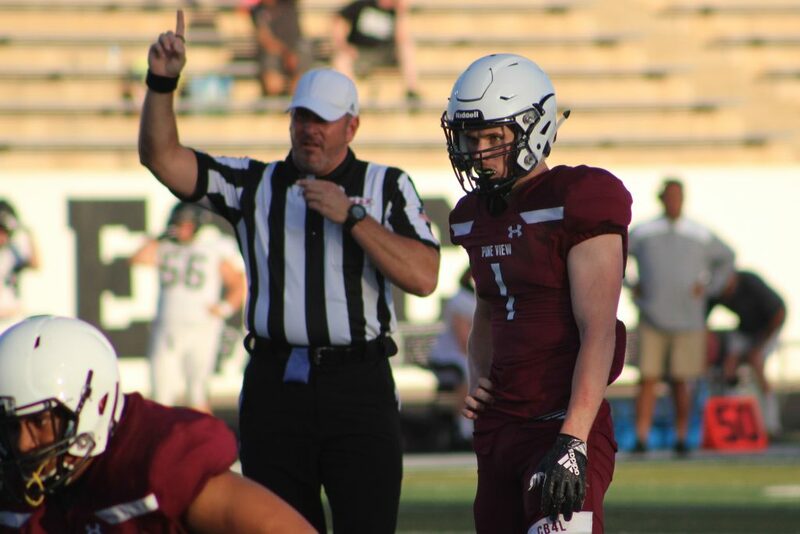 The Rams attempted to battle back during the last two quarters but could never gain ground against the Panthers’ running game and a touchdown pass by Macloud Crowton. 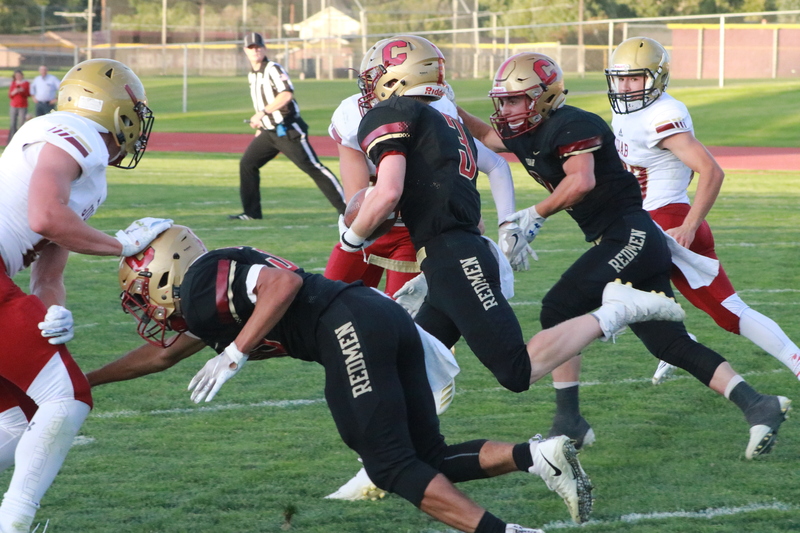 At Cedar, the Redmen scored two touchdowns on their first two possessions of the game to take an early 14-0 lead, then held on to defeat the Juab Wasps, 20-7. 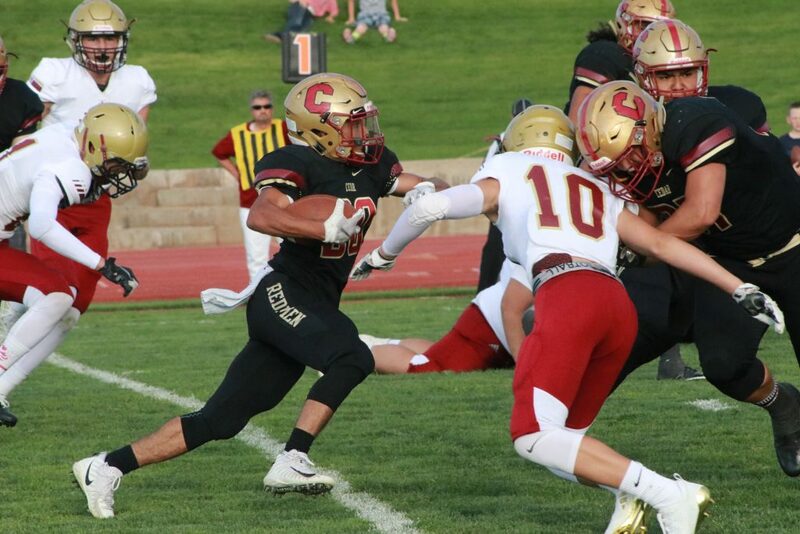 After receiving the ball first to start the game, Cedar marched the length of the field, with senior Drake Fakahua capping off the 69-yard drive with a 1-yard TD run. Zane Montgomery’s PAT kick gave the Redmen a 7-0 lead with 8:31 left in the first quarter. 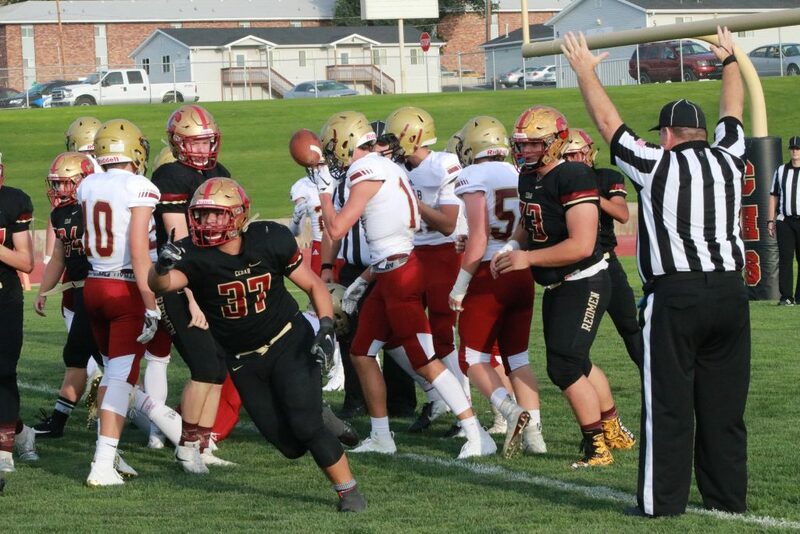 Juab then went three-and-out on its first possession, punting the ball back to Cedar, who took over on their own 35-yard line. A few plays later, Fakahua broke loose for a 61-yard rushing TD and the Redmen owned a 14-0 lead with 4:39 left in the first quarter. The score stayed unchanged until the final two minutes of the game, during which each team added a touchdown to account for the final score of 20-7. Cedar’s last score came on a fourth-down, 19-yard TD reception in the end zone by senior Tayvien Brown with 1:43 remaining. 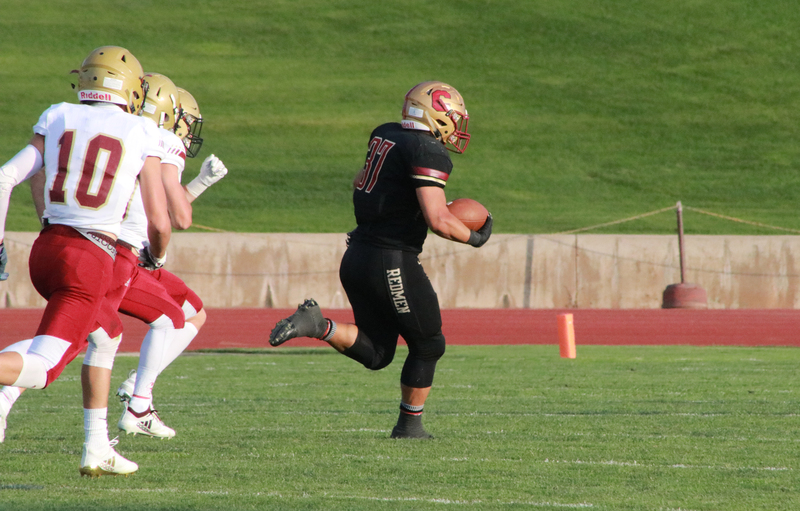 Juab’s Cade Bowring ran back the ensuing kickoff past midfield. Soon after that, the Wasps capitalized on a roughing the passer penalty with less than 30 seconds remaining, and Bowring caught a TD pass on the very next play. 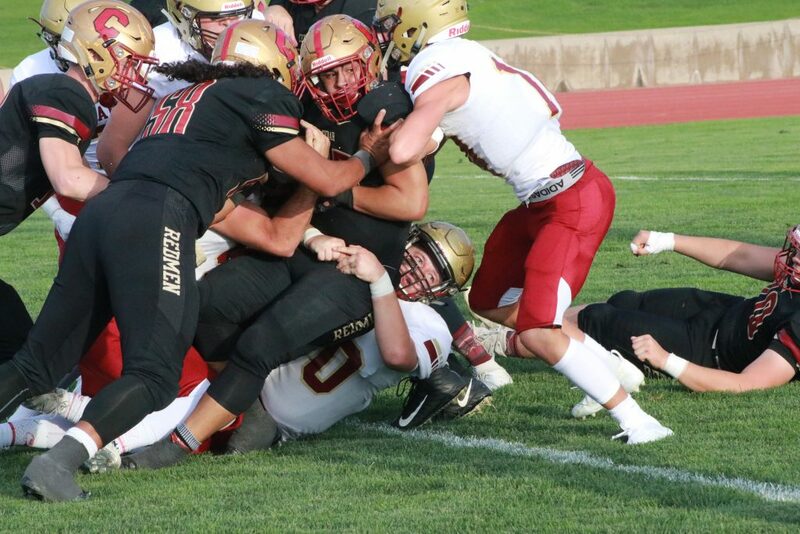 Cedar head coach Josh Bennett said Juab made some defensive adjustments to stop the Redmen’s offensive execution, particularly during the middle two quarters of the game. Bennett said an excessive amount of penalties also hurt the Redmen. Still, Bennett praised the Redmen defense for keeping the Wasps off the scoreboard almost the entire game. 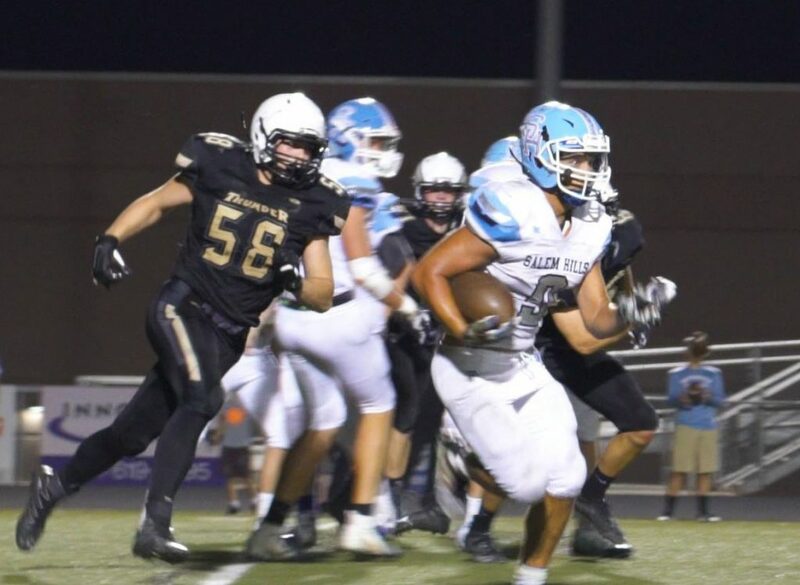 Salem Hills never trailed against Desert Hills, pulling out a 17-10 win over the Thunder in St. George Friday night. The Skyhawks struck first, scoring on a TD pass midway through the first quarter. 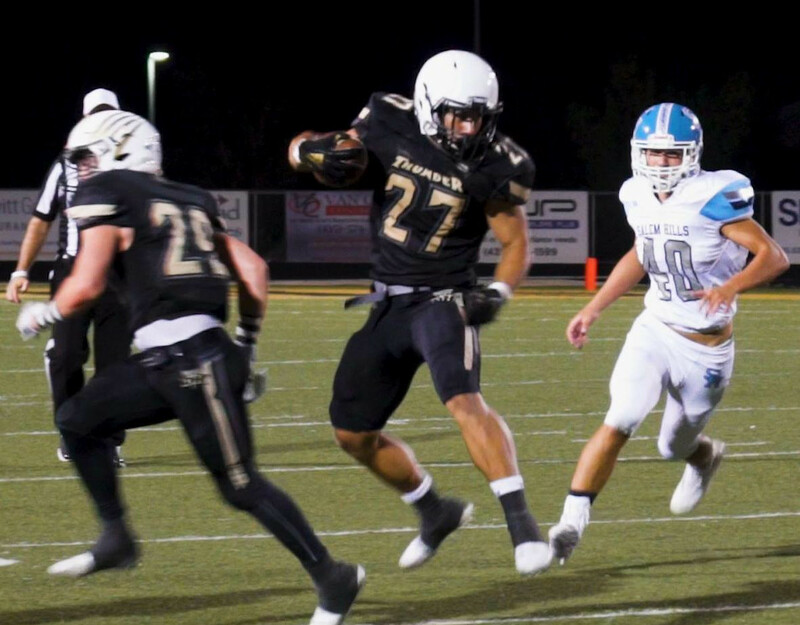 Desert Hill responded with a 76-yard run by Saul Andrus and Logan Callister’s extra point tied the score with a minute to go in the first quarter. Salem Hills took the lead for good midway through the second quarter with a field goal that put the Skyhawks up 10-7, which stood up through halftime. Salem Hills sealed the victory early in the third quarter on the ground with a rushing TD. Logan Callister narrowed the margin with a 25-yard field goal with a minute to go in the third quarter to make it 17-10, but that was the final blow for the Thunder who fell to 0-2 in the preseason. 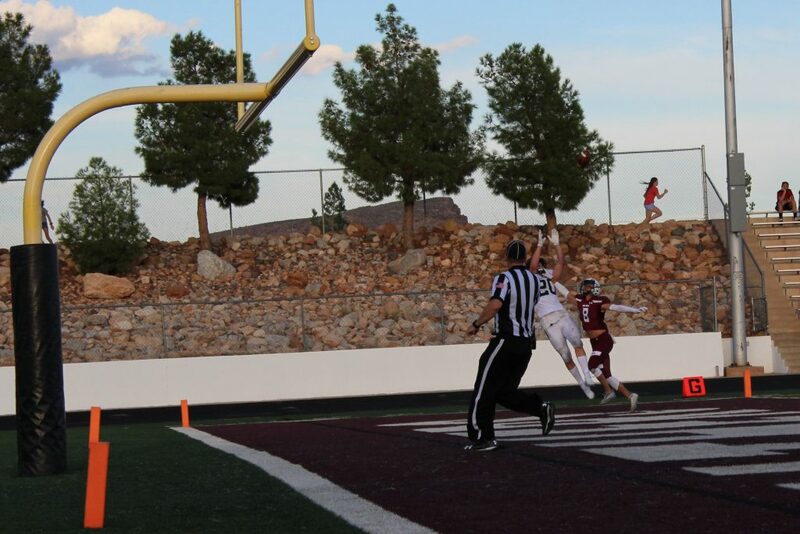 The Dixie Flyers traveled to North Las Vegas and came away with a 27-7 victory over Legacy Friday night. The Flyers took a 14-0 halftime lead but the host Longhorns closed the gap to 14-7 after halftime. However, the Flyers added to their lead in the second half with a touchdown early and late in the final stanza to seal the win. The victory evened the Flyer’s preseason record to 1-1 after a late loss at Springville last week. A late fourth quarter 43-yard TD pass helped Ridgeline top Snow Canyon, 29-13 Friday night in Millville. The Riverhawks shut out the Warriors in the second half after trailing 13-10 at halftime. Snow Canyon scored first on a 35-yard pass from Landon Frei to Marshun Swinner but the PAT failed. Ridgeline narrowed the margin to 6-3 on a 30-yard field goal in the final minute of the first quarter. 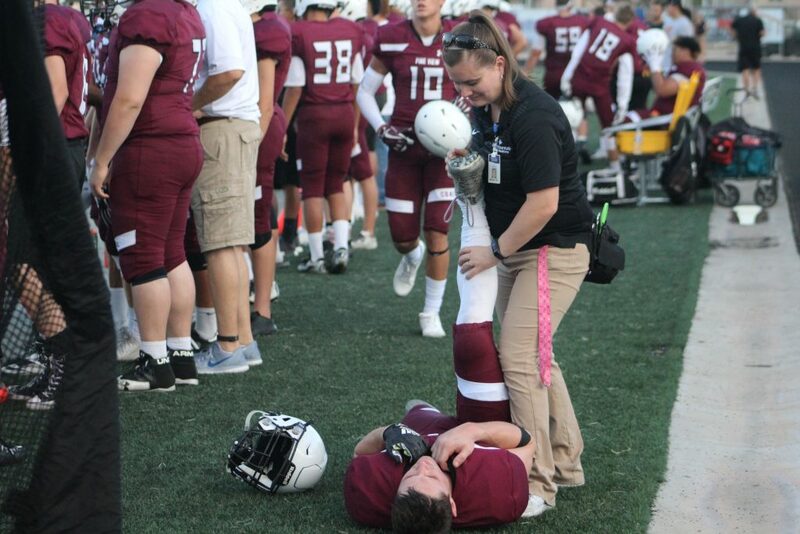 However, Jase Mendenhall ran in for a touchdown from 10 yards out midway through the second quarter and Matt Van Gils converted the extra point for a 13-3 lead. The Riverhawks rallied to close the halftime gap to 13-10 when Frei was intercepted and returned for a touchdown with 2:39 left in the first half. Ridgeline took the lead for good in the third quarter on a 1-yard pass, 16-13 after the PAT failed. The Riverhawks added another blow early in the fourth quarter on a 43-yard TD pass to make the final 23-13. They added another TD to make the final score, 29-13. The loss evened the Warriors’ preseason record at 1-1 after their overtime rally last week. 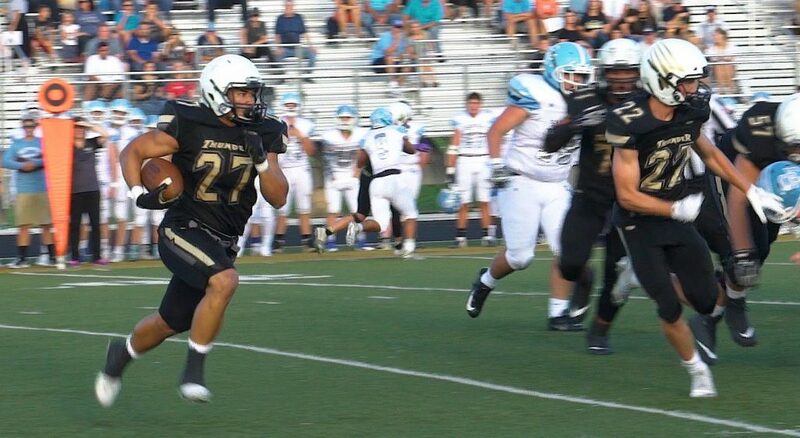 At Stansbury, the Stallions buried the Tigers with a crushing attack, amassing 10 touchdowns, all on the ground. Senior Silas Young scored the first three TDs for the Stallions, who led 54-0 at the half. With just under five minutes remaining in the fourth quarter, Hurricane broke the shutout with a 50-yard TD pass from Brock Starley to Raymond Cordova. Starley then ran in the two-point conversion attempt to make it 60-8. Stansbury added one more TD in the closing minutes to account for the final score. Canyon View traveled to Flagstaff, Arizona, for a Saturday contest against Kingman Academy. The early afternoon game, which was played at Coconino High School, was part of a “Arizona Football Classic” invitational event that attracted 20 teams to town. Canyon View built a sizable first-half lead, but the game was called midway through the third quarter due to bad weather. Canyon View head coach Chris Sawyers said the Falcons played well both offensively and defensively. 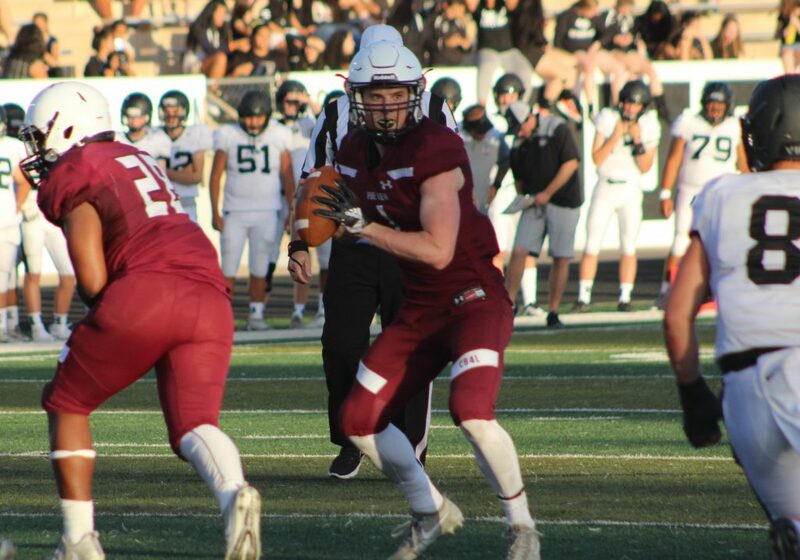 Quarterback Colten Shumway threw four touchdown passes, two of which were to Brady Lowry, who also threw a TD pass of his own. Braden Cavalieri also caught two TD passes for the Falcons, in addition to a two-point conversion. Haden Springer also caught a TD pass. 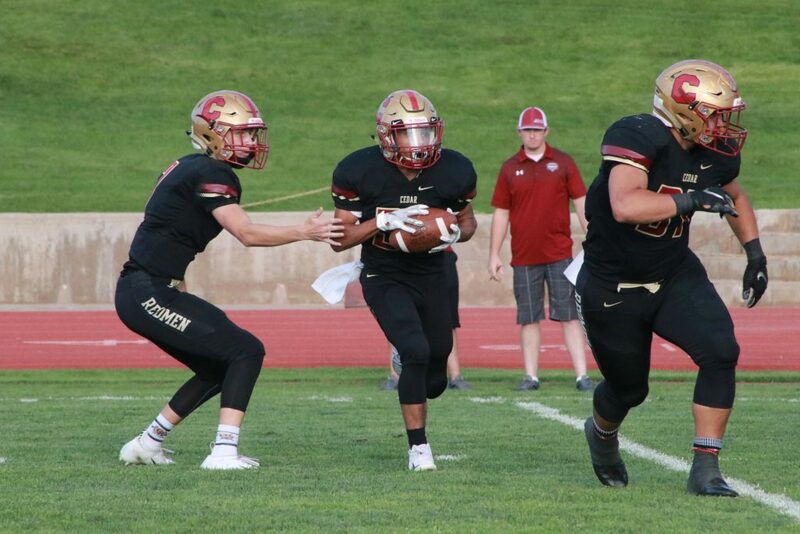 Defensively, Shelby McIntosh had two sacks and 10 tackles for CVHS, Adam Kurtz had two sacks and a fumble recovery and Hunter Anderson had two sacks and caused a fumble. The Falcons evened their record at 1-1 with the easy win. 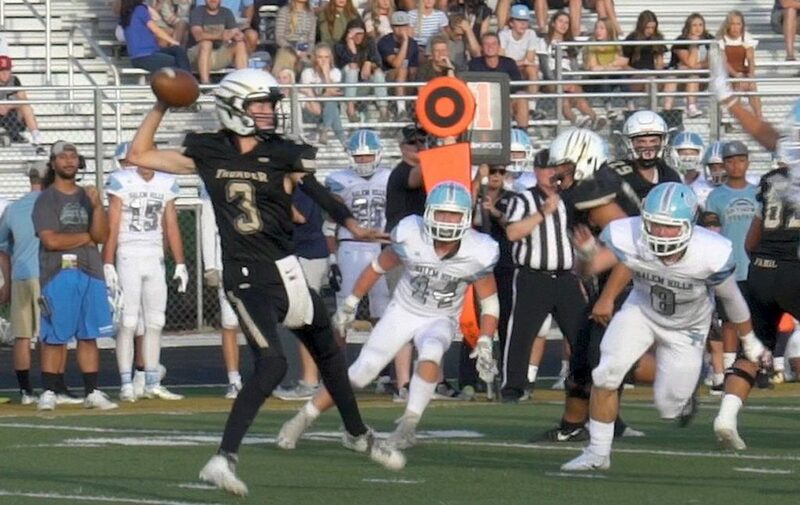 Canyon View will play at Timpanogos next next Friday, after which the Falcons will host their first home game of the season Sept. 7 vs. Pine View, in the region opener for both teams.